Find out about activities, programs and services for youth from 11 to 18 years old, and additional support for youth ages 13-18. Check out social media to stay up-to-date on events! Youth Week is an international celebration of youth held annually during the first week of May (May 1–7). It is a week of fun, interaction and celebration intended to build a strong connection between young people and their communities and to profile the accomplishments and diversity of youth. 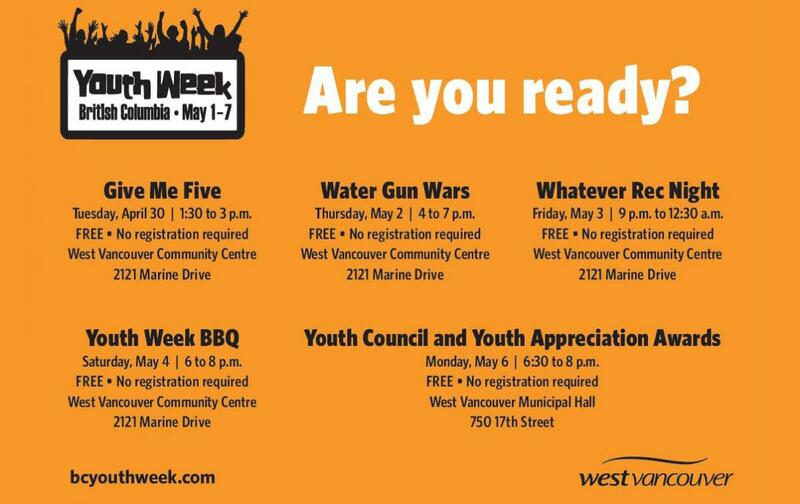 Click the link below to learn more about the fun and free events and activities planned for Youth Week 2019 in West Vancouver! All the information you need about taking the bus–from tips to apps to maps!